Exporting your saved passwords from desktop Chrome has been possible in one way or another for years. However, the feature has always been missing from the Android browser - until now. 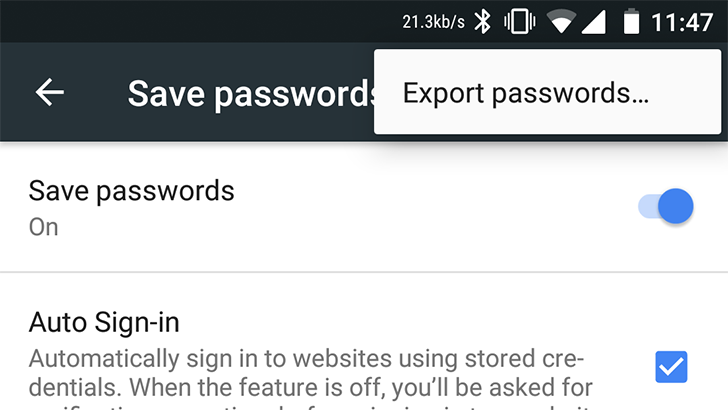 Google is now testing the ability to import and export passwords straight from Chrome on Android, but only the latter function seems to be working right now.